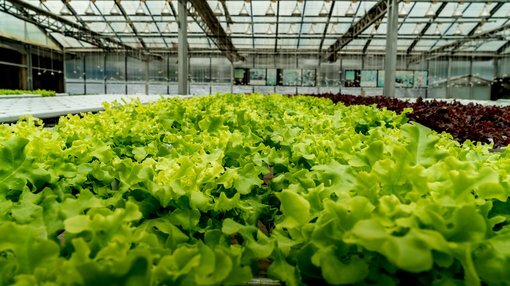 Ag-tech play, Roots Sustainable Agricultural Technologies (ASX:ROO), has secured its first commercial order in South Korea for two Root Zone Temperature Optimization (RZTO) systems, which will be used in hydroponic greenhouses. These systems will be used with TapKit, a Nurtient Film Technology (NFT) developed by leading hydroponic greenhouse builder and tech integrator, Teshuva Agricultural Projects (TAP). This order, which is valued at A$22,500 in two installments, comes less than a month after ROO clinched a non-exclusive distribution agreement with leading Korean ag-tech distributor, Ezfarm, and is expected to be the first of many. ROO’s unique, patented RZTO technology optimises plant physiology for increased growth, productivity and quality by stabilising the plant’s root zone temperature. The greenhouse project will be built in collaboration with TAP. This follows on from the successful Tapkit demonstration project in Israel earlier this year, which saw ROO’s RZTO used in collaboration with TAP’s NFT technologies to cool the nutrient temperature of hydroponically grown lettuce during a pilot at a commercial farm. Despite ambient air temperatures in the greenhouse of nearly 40 degrees, the bare plant roots immersed at the nutrient fluid remained within favorable growing ranges more than 11 degrees lower. This increased production quality and shortened the growing cycle by about 20% compared to NFT greenhouses where no nutrient temperature control is used. Roots CEO and co-founder, Dr Sharon Devir, said that the combined NFT and RZTO technologies enables farmers to stabilise nutrient temperatures, increasing yields and profits through more efficient crop growing conditions. This is ideal for farmers in South Korea, who must deal with challenging conditions of cold, dry winters and hot, humid summers. “Winters are too cold for normal agricultural growth, even in greenhouses. Summer temperatures are often so hot that farmers cannot grow high quality leaves or vegetables in most parts of the country,” said Devir. “The reason is that until now, the only option South Korean farmers had to reduce heat in greenhouses was to use large evaporative cooling systems with several fans. However, they are expensive to buy and operate, use a lot of energy, and increase humidity levels within the greenhouse which increase disease levels on plants,” noted Devir. “RZTO cooling systems focus on retaining core temperatures at the root zone – not in the ambient air. Cooling the NFT nutrient solution utilises ground source heat exchange, which uses minimal energy,” he pointed out. ROO has been flourishing with news flow of late. The Israel-born ag-tech innovator recently released results from a successful pilot on romaine lettuce using its RZTO cooling technology, showing a 132% increase in lettuce leaf weight, with a significantly reduced growing cycle.